WAILUKU — Attorneys delivered their final arguments Monday in one Maui resident’s case against the state, the County of Maui and HBT of Maui Lani over Native Hawaiian burial sites. Jennifer Noelani Ahia filed the complaint last month in 2nd Circuit Court, putting a temporary stop to construction of Maui Lani Phase 6. Ahia is a recognized cultural descendant to the burials found at the site. The complaint contends that the state Historic Preservation Division, Maui County and landowner HBT of Maui Lani knew the project site contained Native Hawaiian burials and yet failed to protect them. The complaint states that the defendants “have adopted an ad hoc, build it till you hit it approach to historic preservation” and in the process have disturbed about 180 burial sites and remains. The complaint also argues that SHPD did not follow its own historic preservation rules in classifying the burials and thus hid the number, location and treatment of the burials from groups that usually have a say in burial matters, like the Office of Hawaiian Affairs, the Maui Lanai Islands Burial Council and the Native Hawaiian community. Attorneys began questioning witnesses in the case Friday and continued Monday. David Kauila Kopper, attorney with the Native Hawaiian Legal Corp., said in his closing argument Monday that the archaeological inventory survey for Phase 6 was inadequate because it didn’t fully describe the historical properties in the area. After the AIS was accepted in 2007, HBT found more than 170 burials, possible burial sites and burial features during work at the site from 2008 to 2016, according to the complaint. The 2007 AIS only identified five, Kopper said. He also questioned the testing methods, saying that surveyors only dug 59 test trenches of 6 to 13 feet deep on the 45-acre property. However, iwi kupuna (ancestral bones) have been found as deep as 22 feet, he said. Kopper also believed that the AIS was inadequate because the preservation area for the burials has continued to expand throughout the process. Kopper also argued that each new activity covered by a permit is considered a project and thus requires its own AIS. Daniel Morris, attorney for the state, countered that just because burials were found after the survey was completed doesn’t mean the survey was inadequate. He also added that it didn’t make sense to suggest that every permit counts as a new project, because all developments have dozens of permits. Carroll argued that the project is more than 75 percent complete, “and at this stage, the developer has vested rights with respect to entitlements.” If the project came to a halt, it would cost HBT millions of dollars and delay much-needed housing. Carroll said that HBT has followed the proper steps in stopping work, reporting burials to SHPD and awaiting a determination. All burials have been left in place since 2011, he added. But Kopper said the financial impacts “do not outweigh the interests of the public when it comes to protecting cultural traditions,” or Ahia’s kuleana to the iwi kupuna. Both sides plan to submit their proposed findings of fact, conclusions of law and decision and order by March 29. 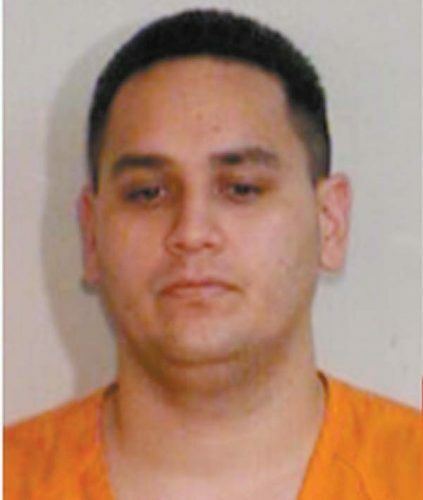 Judge Joseph Cardoza will issue a ruling on April 5 at 10:30 a.m.